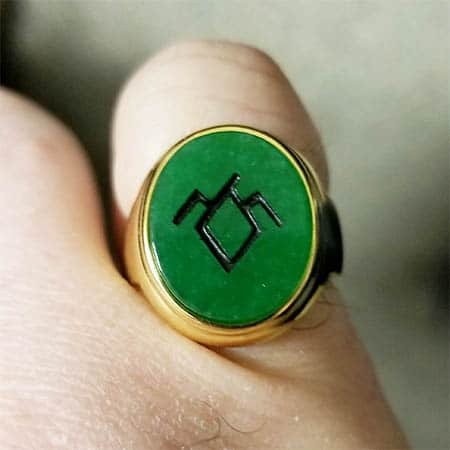 In the owl cave the symbol does not have the little 'hook' but in every depiction of it on the ring it does. Has there ever been an explanation as to why this 'hook' was added? You do realize that means, right? Say hi to Leland for me, willya? dnalel tsuj ot evas aruaL. ereht era emos srehto ereh sa llew.